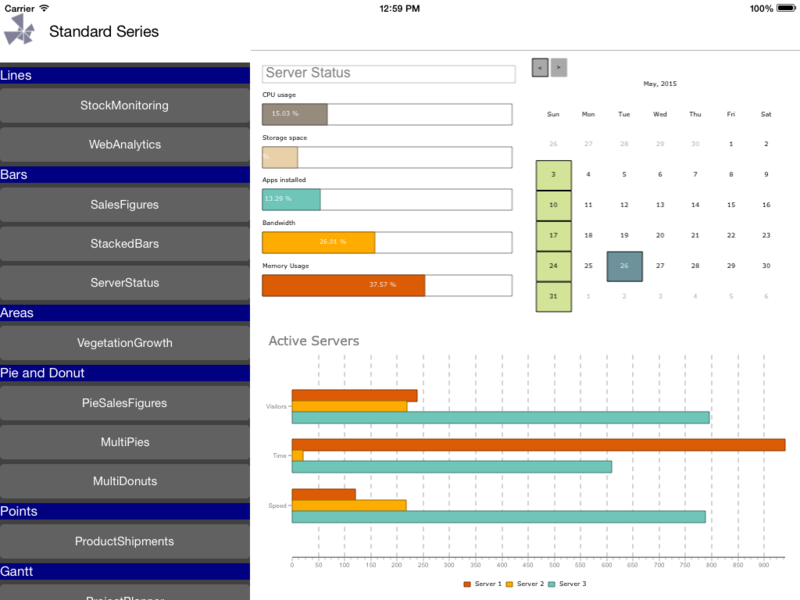 TeeChart Charting component for Xamarin.iOS offers 50+ Chart types in 2D and 3D, 50+ financial and statistical indicators, gauges and maps with customizable tools for data visualization in the mobile applications. It supports Mac iOS platform: iPhone and iPad devices. The TeeChart for Xamarin.iOS license includes a renewable one-year subscription service that entitles customers to free updates and technical support service. Source code is available as an option to buy.